Pipe it Up Plumbing & Sewer is a plumbing company in Chicago that was established in the year 2017. 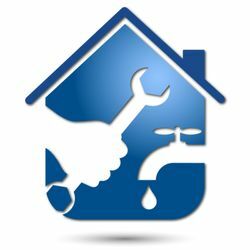 The company provides plumbing services to both residential and commercial customers in Chicago and its surrounding areas. The company goal is to solve all your plumbing problems and make all customers happy and earn their business time and again. With more than 10 years of experience in the plumbing industry, Pipe it Up Plumbing & Sewer provides the best plumbing jobs for your needs. Educated with the Chicago plumbing code and equipped with all the tools required to finish a plumbing job, they offer a quick solution to all your plumbing and sewer issues. Sewer clog, Sewer backup, Vanity sink clog, Storm sewer, Yard drain, Sewer drain leaks, Kitchen sink clog, Shower repairs and installation, Stalls backed up, Leader drain blocked, Drain cleaning, Faucet repair, Toilet repair and installation, Leaky pipes, Radiant heating, Water filtration, Boiler installation and repair, Water heater replacement, Oil to gas conversion, Frozen pipes, Sewer line problems, Tankless system and Gas piping. For any issue that you are facing with your sewer lines or plumbing, call the Pipe it Up Plumbing & Sewer and get a free consultation for the issue that you are facing. Call on the customer service phone number and get a rough estimate on the cost of the project and schedule a time over the call to come and fix the issue. The customer service phone number is available 24 hours and you can call the phone number for any emergency plumbing issues.